How long I have waited to get my hands on this baby. Milk Makeup is a fairly new brand that's been getting a lot of buzz for being the "cool girl" makeup brand. It's meant to be quick, easy, high quality makeup products made for the girl constantly on-the-go. The Sunshine Skin Tint came out around early summer this year, which was a perfect time because it has SPF 30. I honestly was attracted to the packaging and the "real skin finish" part of it since I do use separate sunscreen anyway. After using it for a few months now, I think I could say that while I do like it and will keep using it, it's not my fave. 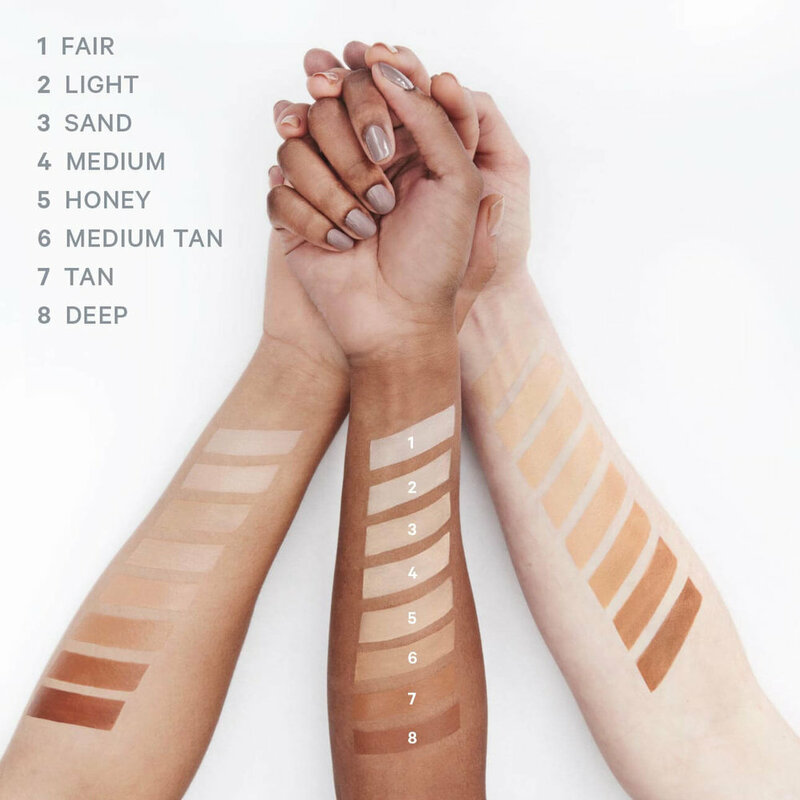 The Sunshine Skin Tint promises lightweight, radiant, real coverage with a hydrating feel. It has avocado, mandarin, grapeseed, and olive oils to provide hydration. The best thing about the product is the packaging. It's like a click-pen rollerball hybrid that's fun to use and helps apply the right amount of product. That being said, I would only pump the product 2 times and that would be enough for my whole face. I'm using the colour sand which is a great match for my light-medium skin colour and has a really nice peachy-yellow undertone. For comparison, I use Bare Minerals Complexion Rescue in Buttercream, Becca Aqua Luminous Foundation in Beige (summer shade), RMS Beauty "Un" Cover-up in 22, and Ilia Sheer Vivid Tinted Moisturizer in Ramla Bay. The problem with this product is that it doesn't really set, which is why I only use 2 pumps. Using more would make my face a greasy, transfer-prone mess. I wouldn't use this when you're looking to get cozy with your white shirt-wearing partner. The finish is very dewy and does look like real skin. The coverage is just enough that I look "presentable" but not like I'm caking on makeup. This is the part I love most about this product. I wouldn't recommend this to my gals or guys with really oily skin though cause I can see it becoming a pain to have on your face. 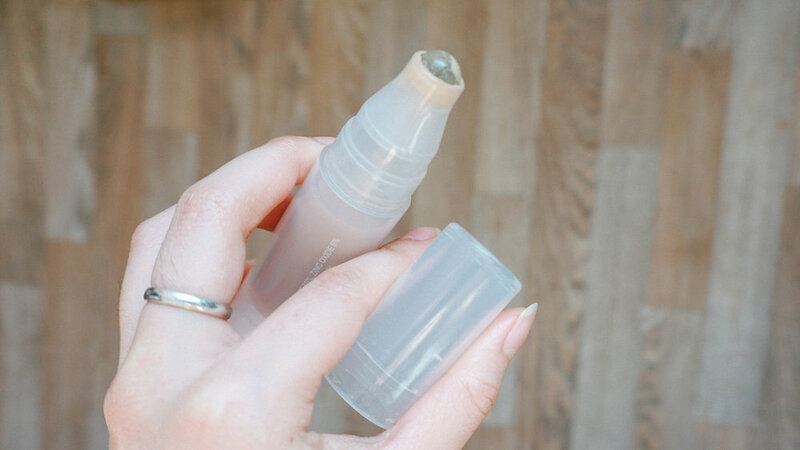 You could definitely set it with a silica powder, which is what I do when it's hot out, but it is still a really dewy foundation. Overall, I would say if you are looking for that dewy, everyday foundation, this is a nice pick. Just be careful not to apply too much. If you are on the oily side, use a lightweight setting powder like RMS' Tinted Un-powder.